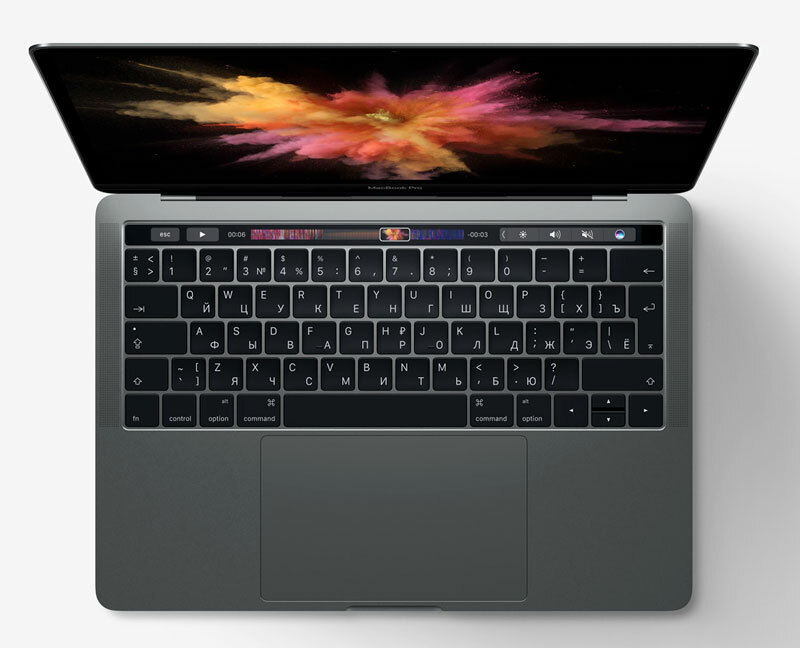 Apple has announced the prices for the new thin and light laptops MacBook Pro with an innovative interface: instead of the usual row of function keys now have the bar Touch Bar. The device can be purchased today at a price of 144 990 rubles. The new MacBook Pro has, reportedly, the most vivid Retina display with the best color rendition among all Apple products, the Touch ID sensor, improved keyboard, enhanced trackpad Force Touch and a sound system with an expanded dynamic range by half. In addition, it is the most powerful MacBook Pro of all: it handles graphics up to 2.3 times faster than the previous model, is equipped with four – and dual-core processors 6th generation ultra-fast SSD and has up to four ports Thunderbolt 3. Touch panel touch Bar provides quick access to the right currently controls the system and applications like Mail, Finder, Calendar, Numbers, GarageBand, Final Cut Pro X, and others, including third-party. For example, on a Touch panel Bar can display tabs and favorites in Safari, emoticons in Messages, editing tools, photos, and scroll through the videos, Pictures and more. 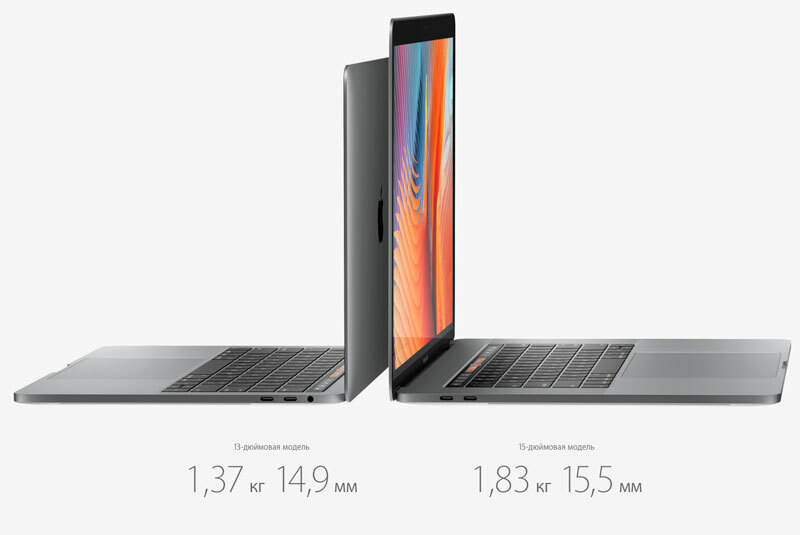 The thickness of the 13-inch MacBook Pro is only 14.9 mm: it was 17% thinner and 23% less than the previous model. In addition, he was 200 grams lighter and weighs only 1.37 kg. 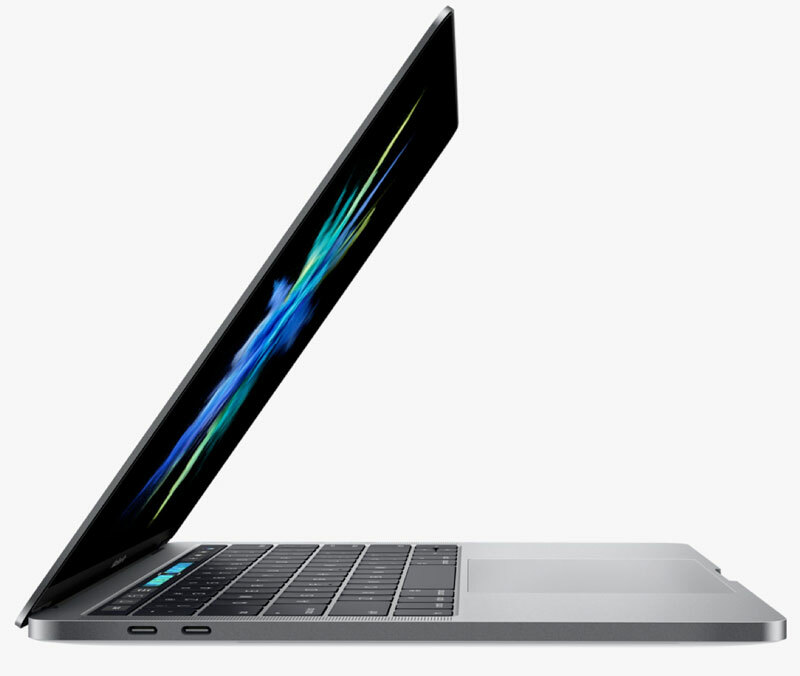 a New 15-inch MacBook Pro has a thickness of only 15.5 mm: it was 14% thinner and 20% less than the previous model. He also has a 200 grams lighter and weighs just 1.84 kg imported. The power button notebook integrated module Touch ID. Registering your fingerprint in the Touch ID on a MacBook Pro, you can quickly unlock your Mac, switch between accounts and pay for purchases using Apple Pay with one touch. Touch ID to quickly and accurately reads the fingerprint, and then recognize it with the help of special algorithms and compares with the module Secure Element chip in the new Apple T1. Apple calls the screen a new Mac “best in history”. It displays more natural colors and more details in photos. Like display MacBook, the Retina display on the new MacBook Pro has a thickness of 0,88 mm. Its brightness is 500 nits is 67% higher than the previous generation. The contrast was also 67% higher, and this is the first screen laptops Mac extended gamut. And thanks to energy-saving technologies, such as an enlarged aperture pixels, adjustable speed updates and more economical LEDs, this screen uses 30% less energy. Dual-Core Intel Core i5 and Core i7 processors with embedded memory of DRAM and a 4-core Intel Core i7 processors deliver the performance of a professional level and save energy. 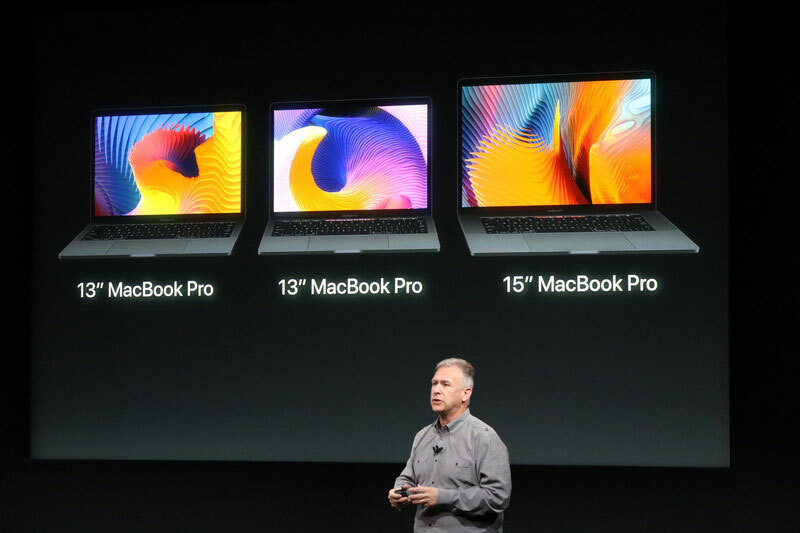 The new 15-inch MacBook Pro is installed a discrete graphics processor Radeon Pro running up to 2.3 times faster than the previous generation. And graphics Intel Iris Graphics in the 13-inch MacBook Pro lasts up to two times faster. All models of embedded SSDS with sequential read speeds over 3 Gbps, and Thunderbolt ports 3, through which you can transfer data, charge your laptop and to stream video twice as fast. This allows you to connect the monitor to 5K and charge the MacBook Pro through a single cable. 13-inch MacBook Pro can be purchased today at a price of 990 RUB. 119 It is equipped with dual-core Intel Core i5 processor with a clock frequency of 2.0 GHz and Turbo Boost up to 3.1 GHz, 8GB of memory and a flash drive 256 GB. MacBook Pro 13-inch with touch panel Touch Bar and Touch ID sensor are now available from 144 990 rubles. It is equipped with dual-core Intel Core i5 2.9 GHz and Turbo Boost up to 3.3 GHz, 8GB of memory and a flash drive 256 GB. Finally, the 15-inch MacBook Pro with touch panel Touch Bar and Touch ID sensor available for 189 990 rubles. It is equipped with a 4-core Intel Core i7 processor with a clock frequency of 2.6 GHz and Turbo Boost up to 3.5 GHz, 16 GB of memory, and a flash drive 256 GB. Next story Why Apple left the 3.5 mm audio Jack at the new MacBook Pro?